Judith from Florida wrote to BtP to wish us a happy fifth birthday, and included this affecting memoir which we reproduce with her kind permission. I live in Florida – I am from Michigan. I flip around, and have been blessed to be around music-makers my entire life. 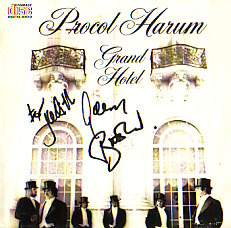 When I first heard Procol Harum I was 19 years young – I was mesmerized from jump – I have had the privilege of enjoying so many wonderful concerts – almost speechless, heart racing, until the musicians were visible. When I heard Gary's voice and keyboards the first time I thought my heart would explode. What was so wonderful way back then my husband was having the same experience – he played a B3. I would listen to him practise 4-5 hours a day – without the band around. These were back in the days when you went on the road – you had all the equipment in addition to a Hammond B3 and two Leslies. Through the years our children were raised on Brooker/Reid. With Robin missing, we were devastated at first – until we saw Gary, BJ, Matthew/or Chris C. and whoever was playing lead – the magic was still wonderful – I would also go see Robin and realized it was OK for him to be on his own – he was great with PH – however it would become clear there were two groups playing as one. Now for my own "something magic" . I am no longer married to my first young love: my children are grown, I have remarried. My children all love music – my son plays guitar, as well as my daughter – and my youngest MJ sings – my brother plays guitar, my sister plays keyboards – and it keeps going on. They all were growing up with a strong influence from Procol Harum. I had not seen them in over a decade – always had the music – but there is something rejuvenating about a live concert. I was getting concerned I would never be able to go to a live concert again – just the memories. I live in St. Petersburg Florida: there is a little square downtown called Jannus Landing, set in the middle of a square block, with such great little shops, coffee houses, and boutiques. In the middle is where the concerts are held – it's open, has balconies and trees with benches around it. There is no other seating – so you can imagine my amazement when I read in the local paper that Procol Harum would be appearing at this intimate setting – not a huge concert hall as it was in the 70s-80. 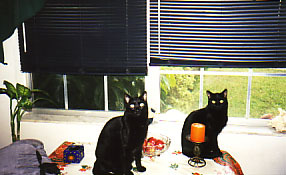 Two of my children were living here at the time. They were not born when PH started. So we went, the three of us, and to our surprise there were families there, friends one and all – sold out – gets crowded fast – just perfect! We went early went to the front and waited – with the same feeling I had the first time I heard these remarkable musicians – and Matthew was back. The concert seemed to be over even with two or three encores – afterwards I again found myself speechless. Fortunately my youngest daughter Maryjane, who was about only 15 or 16 at the time, and fearless – after seeing her mother so into a different place for those 21/2 hours – went into the connecting pub and went up to Mr Brooker and quickly told him of our family history on being raised on their music – and that her mother was stuck in quicksand, asked him to wait right there while she brought me out of that afterglow of the music (anyone who has been to one of their concerts knows what I mean) and told me that Gary wanted to talk to me! She took my hand – lead me over to Mr Brooker – all I could say was 'Thank you for sharing your music for all of my life'. 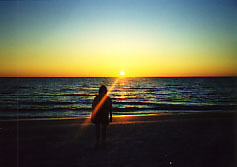 He was so nice – he asked me my name, I told him it was Judith, and he said, 'Judith – I am going to change clothes,' Florida is hot and muggy in August) and that he wanted to talk with my family. When Gary came back again I was speechless. Being the professional he said, 'You're Judith, right?' and thanked me for bringing my children to the concert. We chatted – took more pictures – and guess what, he is real – he is human – he does appreciate his fans. Most of all he seemed so humble. Well for rambling on you probably can see me as not a speechless person – just wanted to share what my "something magic" experience of "An evening with Procol Harum" was like – also that was the first time I experienced this wonderful music called "An evening with Procol Harum" (about 30+ years ago). Well thanks for all you do – just wanted to share my personal history with these awesome music makers – just another story of gratitude.